The National Atomic Testing Museum is a relatively new, and seemingly professional, museum a few miles east of the Las Vegas Strip on Flamingo Road. I visited it about two years ago, and was very impressed by its powerful and relevant exhibits on the subject of atomic testing and the Cold War. Now that museum, which is an affiliate of the Smithsonian Institution in Washington, DC, is getting heavily into claims about Area 51 and UFOs. It has a special exhibition on "Area 51," which requires a separate admission ticket. I did not see this exhibit, but I understand that it depicts ongoing classified projects, which would seem to place the museum in the same business as Wikileaks. Whether a Smithsonian-affiliated museum ought to be doing this is a serious moral and legal question. I thought that the Area 51 exhibit restricted itself to aerospace-related matters, but Lee Speigel writes in the Huffington Post, "Among the many items displayed are materials presented as "Authentic Alien Artifact" -- samples of small objects originating from an alleged UFO crash in Russia." So if you want to see an "Authentic Alien Artifact," the National Atomic Testing Museum claims to have one. 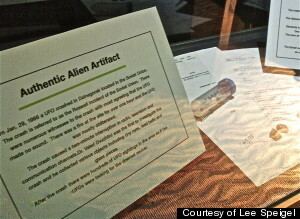 Lee Speigel's photo of an "Authentic Alien Artifact." Not satisfied with that absurdity, the National Atomic Testing Museum is now getting into full-fledged promotion of UFO claims. On September 22, they are sponsoring an "Area 51 Special Lecture - Military UFOs: Secrets Revealed." There is nothing whatever skeptical about this panel. One of the speakers is Nick Pope, who for years has been warning about an "alien invasion." Most recently, just before the London Olympics Pope warned, "The government must - and has planned - for the worst-case scenario: alien attack and alien invasion. Space shuttles, lasers and directed-energy weapons are all committed via the Alien Invasion War Plan to defence against any alien ships in orbit," he said, apparently unaware that America's Space Shuttle orbiters have been dispersed to various museums, and the rest of the system scrapped. Former intelligence officer Col. John Alexander (U.S. Army Retired), is also speaking. He probably organized this lecture event. Alexander is a bit unusual among UFO proponents in that he absolutely does not believe that the U.S. Government is covering up any "UFO secrets," or is engaged in any "UFO conspiracy." So that rules out belief in the Roswell Crash (which got him jeered while speaking at the MUFON Symposium last year). 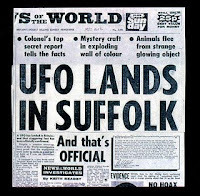 Yet Alexander apparently believes in a British UFO cover-up, as he is a strong proponent of Col. Halt and the other supposed witnesses at Rendlesham. James McGaha and I each told Alexander personally about Col. Halt's changing UFO claims, and asked how could he continue to have confidence in Halt's story? But Alexander does not seem troubled by Halt's inconsistency in the least, or by the dressing-down of Col. Halt by his superior officer, Col. Conrad; why give up on a UFO story as good as this one??!!! If either of these gentlemen, Col. 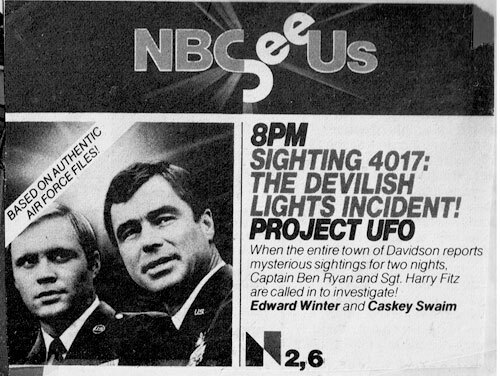 Friend or Col. Coleman, ever actually had any "UFO secrets," they should have appeared in the Blue Book files. Or at least in Project UFO. James McGaha contacted the Director of the National Atomic Testing Museum, Allan Palmer, to get an explanation of why such sensationalist material was being presented under the auspices of the museum, but received no clear explanation. His attempts to get a comment on this matter from the Smithsonian has thus far been likewise unsuccessful. For whatever reason, we are now seeing once-respected names dragging themselves through the swamp of UFO and alien claims. First the National Geographic, embracing UFO claims as if there were no tomorrow, with Chasing UFOs merely the most egregious example. 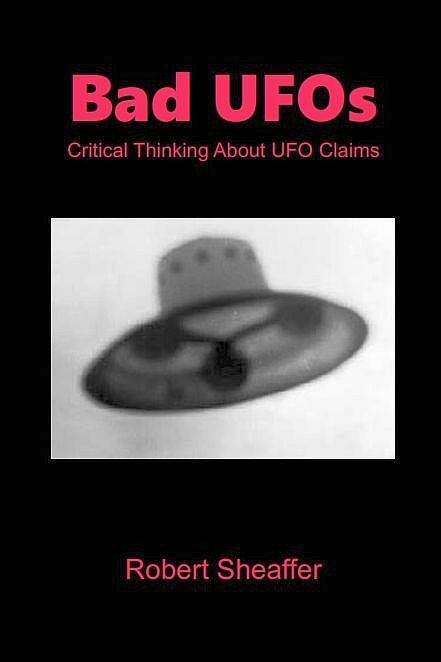 Now even a Smithsonian-affiliated museum is shamelessly promoting entirely uncritical UFO claims. What will be next: Bigfoot exhibits? Astrological displays? Are museums to be the next venue for tabloid entertainment? If America's museums are willing to shed all scholarly rigor and self-respect to bring more visitors through the doors, then it will be a sorry day for science education in America.